Earlier also, at around 10.15 AM on 21.2.2018, the Commission received an information that some of the answer keys of PaperI, to be held w.e.f. 10.30 AM on that day of the examination, were being circulated on the social media / e-mails. The Commission investigated into the matter and found that the claims were absolutely bogus and baseless. 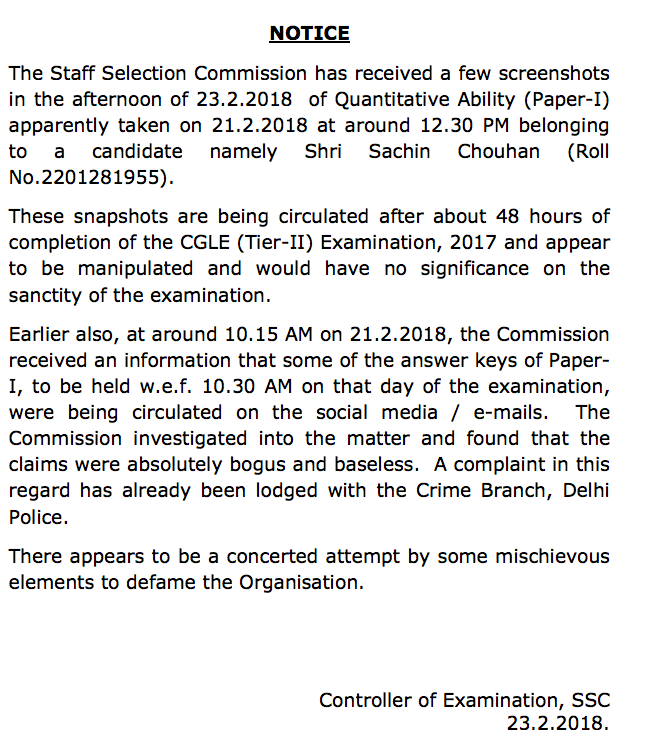 A complaint in this regard has already been lodged with the Crime Branch, Delhi Police.